Our free Taster Days will give your students an idea of what universities have to offer, both academically and socially. These Taster Days are aimed at schools and colleges who are able to bring a group of Year 10 students who mostly meet our criteria. 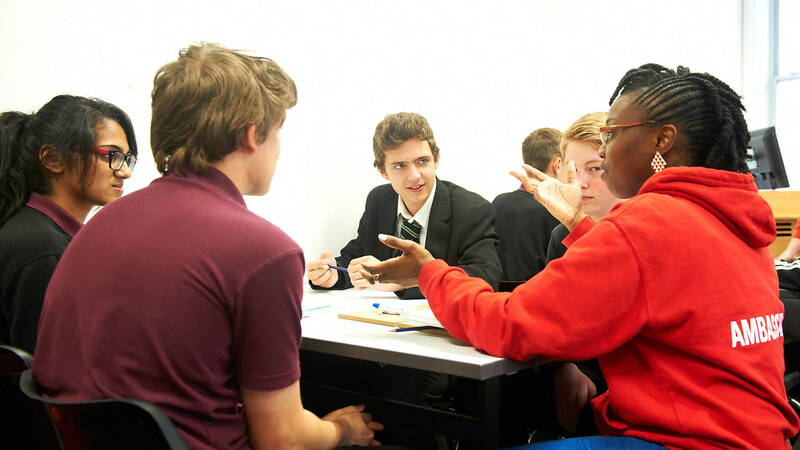 Languages Taster Days are for students in Year 9 and include language taster sessions, ideas about careers with languages and the chance to talk to current language undergraduates. Your students can find out about some of the subjects they could study, including ones they don't study at school. Brief sessions on a variety of subjects are on offer. This allows students to find out about more than one subject. We will send you more instructions for the day and confirm the subjects your students will learn about before you arrive for your day. We can only take 90 students per Taster Day. You can bring up to 30 students from your school and at least one teacher per 15 students. Your students usually arrive at 9.45am for a 10am start and leave between 2.00pm and 2.30pm depending upon the school's requirements. In the morning, they will attend an introduction, tour the campus and go to an academic session. The afternoon session is more flexible and students may get to meet staff from the Student' Union (The SU Bath) including the sport clubs and societies depending upon their availability. The order of sessions is subject to change. Your school must arrange and pay for transport to and from the University. Here is our travel advice. Your students will need to bring a packed lunch. Dates for Spring/Summer 2019 will be announced soon.